How can you not fall in love with a woman who carries around a human brain inside a floral-decorated hatbox? Meet Dr. Marian Diamond … and prepare to be smitten. Follow the career of this remarkable woman and get introduced to her many scientific accomplishments as well as the warm, funny, and thoroughly charming woman herself. 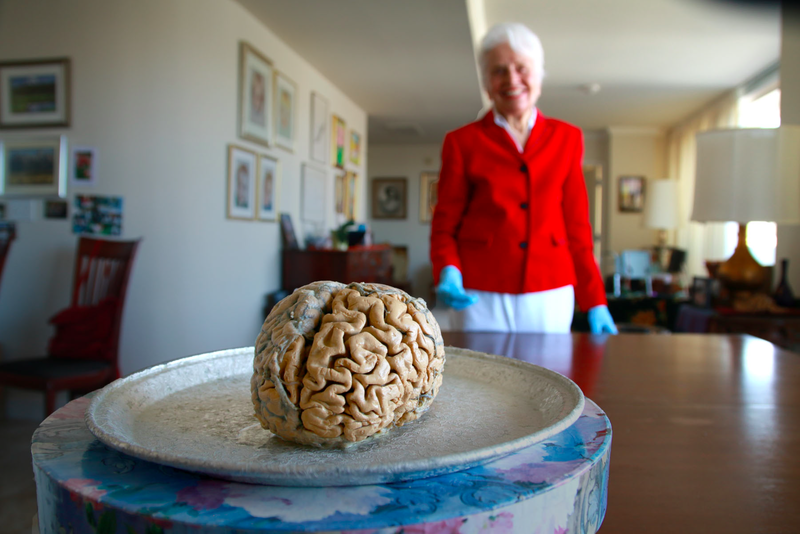 Experience for yourself why she describes her 60-year career at UC Berkeley researching the human brain as “pure joy”. 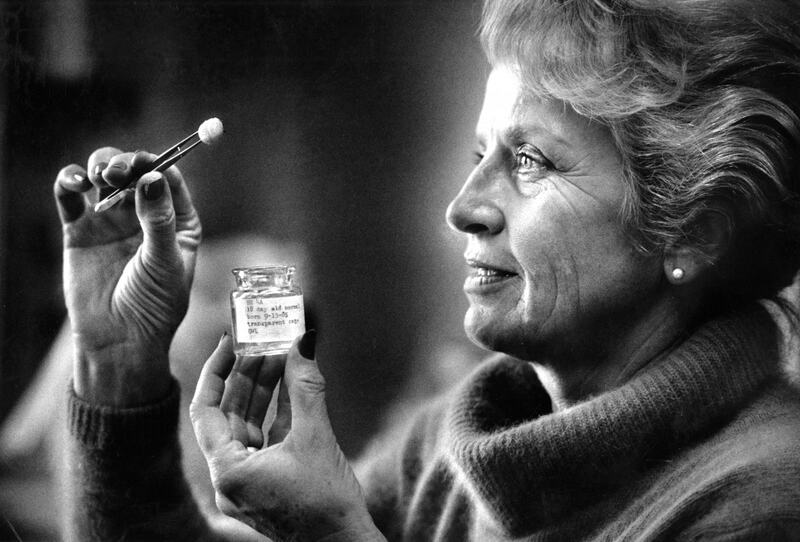 It is no exaggeration to say that Dr. Diamond changed science and society in dramatic ways over the course of her career. Her groundbreaking work is all the more remarkable as it began when so few women entered science at all. Shouted at from the back of the conference hall by noteworthy male academics as she presented her research, and disparaged in the scientific journals of a more conservative era, Dr. Diamond simply did the work and followed where her curiosity led her, bringing about a paradigm shift (or two) in the process. As she points out, in order to get to the answers that matter, you have to start by asking the right questions. Enrichment and brain plasticity (how the brain changes due to experience and environment) are concepts we now take for granted, but they were a scientific battleground where Dr. Diamond decisively challenged the old view of the brain as fixed and unchangeable. 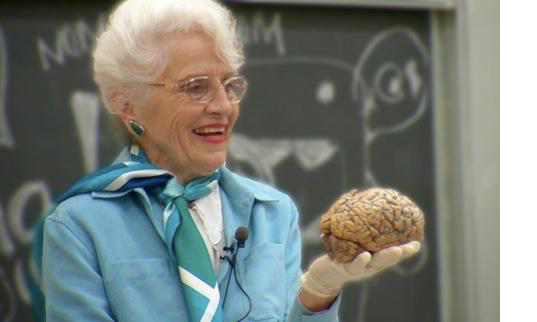 She was the first to find actual evidence of plasticity in a brain, forever changing our understanding of the brain and ourselves. Part biography, part scientific adventure story, part inspirational tale; this is a story of a worthy role model – a woman who has joyously lived at the forefront of scientific exploration and education, finding and sharing fact-based good news about the brain. An actress who not only plays a neuroscientist on TV, but is one in real life, with a PhD in Neuroscience from UCLA.